Most of us tend to squeeze too many plants into small pots and entrust them to nature. Any wonder why they shrivel and die way before winter? 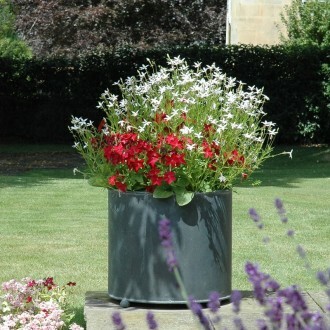 Fear not, our large circular zinc planters can cope with all but the largest shrubs – and we can make to measure. Please get in touch on 01225 851577.